Description, damage, biology and life history The aphids on maple are most severe in the spring. This aphid usually develops wings and flies from the host in spring about the time it is reaching noticeable numbers. The aphids return in fall, congregating at the base of the tree. Honeydew production is usually the most noticeable problem with these aphids. 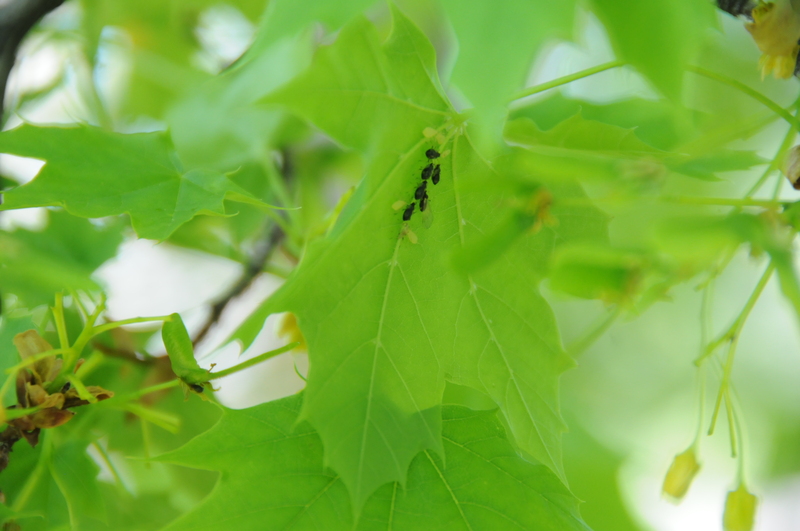 When numbers of aphids are high, look for small gnat-like insects patrolling the leaves. These are parasitoid wasps seeking aphid hosts.